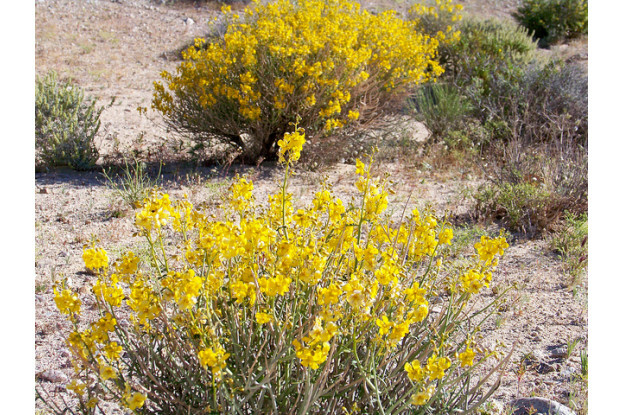 Desert Senna is a perennial shrub-like wildflower native to the Sonoran Desert of the southwest. It can reach up to two feet tall and produces small yellow flowers which bloom from April to October. It prefers full sun and is tolerant of many soil types as long as they are well-drained. It is very easy to establish and is commonly used along roadsides in wildflower restoration projects. Desert Senna is drought tolerant and works well in rock gardens and other dry areas.